While walking outside on my way to an early meeting, between sips of coffee I was jarred awake by a passing car with the music of Van Halen blaring through the speakers. As a fan of “early” Van Halen I snickered to myself recalling the legend of the “Brown M&Ms” in their contract that was often joked about amongst musicians and DJs. Later that evening when I returned to my hotel room I did some research into the background of the “Brown M&Ms” story and quickly realized the importance of it with regard to contracts and dealings with third parties. As many of you will surely know, Van Halen has been one of rock’s premier acts since the 1970s. However, they were also one of the first bands to take on the road such a massive stage show consisting of, according to the band’s lead singer David Lee Roth, “850 par lamp lights to illuminate the stage.” Due to the size of such a light set they struggled in the band’s early touring years to get the massive rig into many of the older arenas, as their loading dock doors were ill prepared to handle such a massive spectacle. Additionally, “there were many technical errors — whether it was the girders couldn’t support the weight, or the flooring would sink in, or the doors weren’t big enough to move the gear through.” On top of all that, set up and tear-down times would “grossly exceed” the local union’s overtime, largely because of extent of the production – all of which added to the cost of touring. Roth noted that in most cases, the promotor wouldn’t fully read the contract and would therefore fail to take note of the various structural requirements and understand the issues (such as load bearing stress, electrical amperage, etc.) that could cause serious damage to the band, the crew and even to the audience. 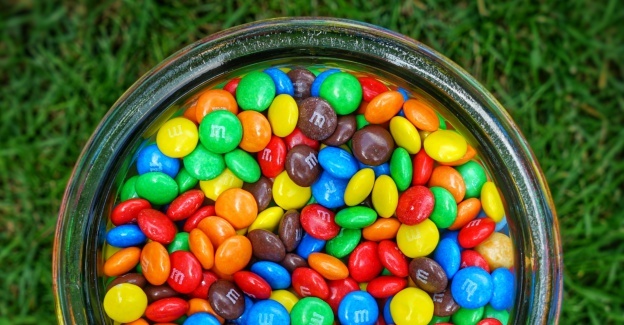 According to Roth, to help ensure compliance, they stuck in a clause in the technical section of the contract, requiring a bowl of M&Ms to be placed backstage but not to contain any “brown M&Ms.” Now this would normally be characterized as silly “rock star-like demands” being placed on the promotor and venue, but it was actually a rather clever test of whether or not the promotor and other notable parties had thoroughly reviewed and honored the contract fully, including the items it contained addressing safety concerns. Roth added that if a bowl of M&Ms was missing backstage, or if brown ones were present, then he and other band or crew members could safely assume that other items in the contract were not reviewed, glossed-over, or worse – completely ignored. The band members and crew would then be within their rights to have the venue inspect the work, ask that it be redone, and – per the terms of the contract – even force the promotor to forfeit the entire show at full pay. Their concern for safety was real as not only had equipment been damaged, but according to Roth, several members of their road crew were severely injured due to poor preparation and lack of appropriate safety measures on the part of the venue. A great example he provided to drive home this wisdom was when Van Halen was playing at a university in the midwest (his autobiography purports it as a gymnasium in Pueblo, Colorado, while an online interview with Roth claims it is in New Mexico). Roth noted “the university took the contract rather casually,” adding further “they had one of these new rubberized bouncy basketball floorings in their arena. They hadn’t read the contract, and weren’t sure, really, about the weight of this production; this thing weighed like the business end of a 747.” He added that they found some brown M&Ms in the candy jar and Roth “went into full Shakespearean ‘What is this before me?’… and promptly trashed the dressing room, dumped the buffet, kicked a hole in the door…” causing approximately $12,000 worth of damage. He stated that the promoter “didn’t bother to look at the weight requirements or anything (in the contract) and this sank through their new flooring and did $80,000 worth of damage to the arena floor. The whole thing had to be replaced.” Clearly, this could have been avoided if the contract had been thoroughly read and the physical requirements needed to hold such a concert had been better understood. Can similar events happen to you? You bet. You may not have to deal with moving around massive light and sound fixtures from one town to the next, but how truly confident are you that your vendors really understand what is required of them? Have you built conditions, service-level benchmarks, touch-points and penalties into the contracts? Are they understood and agreed to by all before it becomes fully executed? Part of employing sound principles of contract review is going over all documents with all affected parties (both vendor and business line) and making sure that they not only understand the terms laid out in the contract but that they can fulfill all stated obligations. So, with that, do you prefer plain or peanut? Shared Assessments Senior Director and CISO, Tom Garrubba, is an internationally recognized subject matter expert, consultant, lecturer, author, and instructor for the Certified Third Party Risk Professional (CTPRP) program. Previously, Tom was Senior Privacy Manager at a Fortune 10 healthcare company where he implemented and managed their vendor risk program. He’s an experienced professional with over 20 years of experience in IT security, privacy, audit, and risk and compliance in various industries and public consulting. You can connect with Tom Garrubba on LinkedIn.